Someone should email it to him, he probably hasn't seen it! Bobo fights back or what? It's a Kindle cover, as it turns out. Going through my Kindle library, I see examples of the exact same cover — same colors, same typeface, same layout. The fault here appears to be Amazon's. 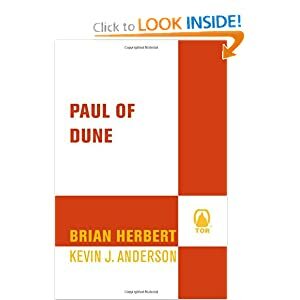 They've got the wrong image linked to the Pauline of Dune U.S. paperback.